From Auckland city, The Landing is a 55-minute helicopter flight or a 4-hour drive. From Auckland International Airport, access is via a 35-minute scheduled flight and a 30-minute drive. It is possible to transfer to The Landing from Auckland Harbour with Auckland Seaplanes. The Bay of Islands is a natural paradise, with more than 140 islands dotted along its coast, and miles of secluded white-sand beaches to explore. Paddleboarding, kayaking and snorkelling can be enjoyed from The Landing’s six private beaches, and day trips can be taken to go fishing or visit local towns with The Landing’s boat Iti Rangi. Some of the best deep-sea and big game fishing in the world can be experienced further out, aboard luxury sportsfishing vessel Ata Rangi. 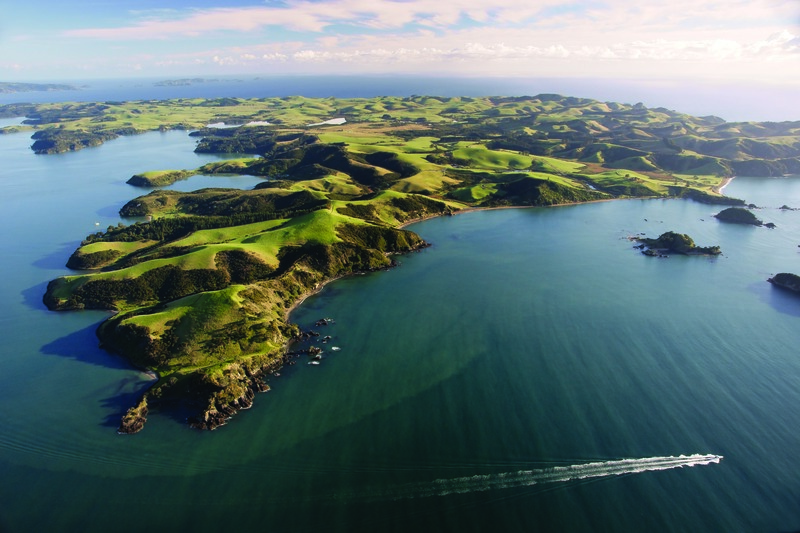 The Bay of Islands’ main towns are Kerikeri, Russell, Paihia and Waitangi. In the charming heritage town of Kerikeri, you’ll find local growers’ markets. In Russell and Paihia, there are excellent restaurants, and Waitangi has the stunning Waitangi Treaty Grounds and Museum. The closest town to The Landing by road is Kerikeri, 35 minutes’ drive away, with the others just 15 minutes from The Landing by boat.